In the Victorian tradition of Yuletide ghost stories, critically-acclaimed local author Ami McKay invites us to step back into the magical world of The Witches of New York in her newest book, Half Spent Was the Night. This enchanting tale is the perfect companion to the chill days and long nights of winter, reminding us of the hidden magic of the season. Set just after the events of the previous novel, mystery swirls around the three witches of New York as they contend with storms, demons, and the intrigue of high society. Fans of the first book will be spellbound by this new installment in the saga of the witches, whose tendency for encountering adversity is surpassed only by their ability to overcome it. Interspersed throughout the novella are tantalizing recipes for traditional winter treats, which will surely make a welcome addition to a cozy evening of reading. 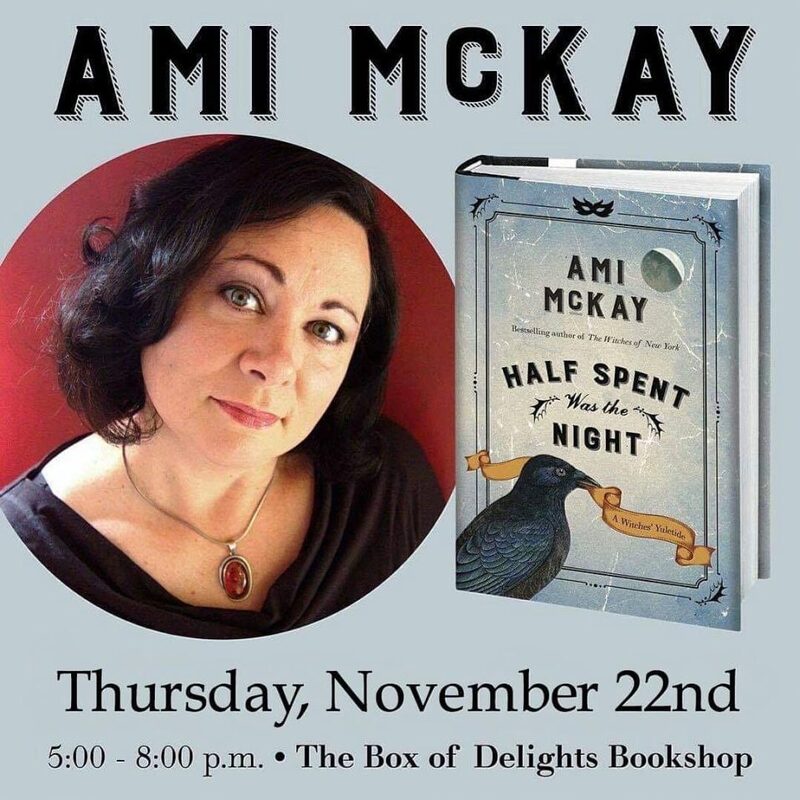 Join author Ami McKay at The Box of Delights Bookshop on the eve of November’s full frost moon for a magical gathering in celebration of her newest title. Step into our coven’s cozy sanctum for an evening of conversation and a spread of homemade Yuletide treats. Thursday November 22 at the Box of Delights Bookshop, 466 Main Street, Wolfville, 5pm- 8pm.